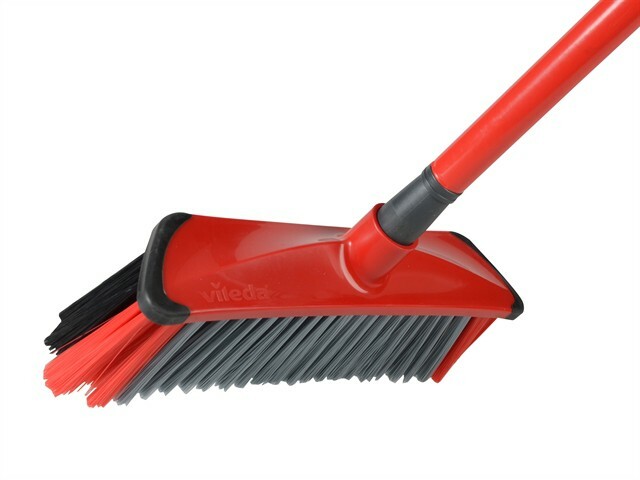 The Vileda 3Action Broom uses the very latest in broom technology. The bristles in the broom head are positioned in a certain pattern to ensure dust and dirt are trapped in just one sweep. The unique bristle formation effectively sweeps dirt and debris away, even on uneven floor surfaces. The rubber bumpers on the broom head ensure your furniture is protected.